Acura Sherway always has a complete collection of genuine Acura parts in stock for you to choose from. Our team of parts experts are here to listen to your needs and answer your questions, and once you’ve found the genuine Acura part you need, we’ll be more than happy to install it for you. Genuine Acura parts are designed to maintain quality, reliability and performance for as long as you own your car. Not all automotive parts are created equally. While some manufacturers will claim to produce parts that fit, they won’t be able to match the rigorously tested standards of Acura’s R&D facilities. Non-genuine parts often lack the quality of materials that ensure consistent performance on every road. Genuine Acura parts will always provide your vehicle with the perfect fit from parts engineered specifically with the components of your car in mind. At Acura Sherway, we’ll have the part you need in stock, or we’ll order it directly from Acura Canada. Our wide selection of parts combined with a friendly and knowledgeable staff, make the process of finding exactly what you need an easy one. Trust only Genuine Acura parts to keep you safe on the road. We also have a wide range of summer and winter tires specifically designed to optimize the performance of your Acura vehicle in any condition at the very best prices in Toronto. 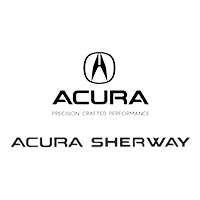 For all of your tire needs, or for genuine Acura parts, come in today to Acura Sherway!